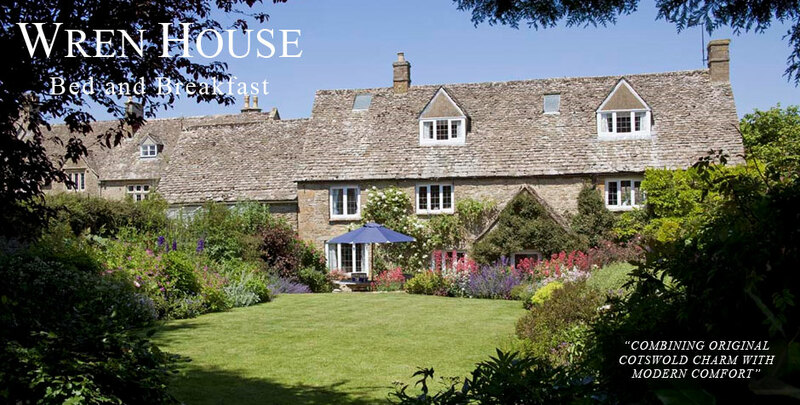 in a classic Cotswold hamlet near Stow-on-the-Wold, with fibre-optic wired WiFi, comfortable beds, exquisite countryside views and lovely gardens. 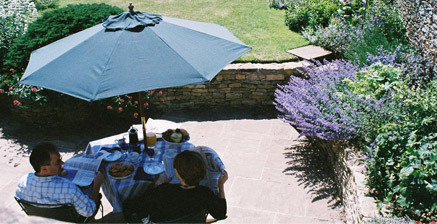 WREN HOUSE is a peacefully situated, classic Cotswold stone house on the edge of the tiny hamlet just two miles from Stow-on-the-Wold, and looks across the unspoilt rolling countryside. It is perfectly placed for exploring the beautiful North Cotswolds. 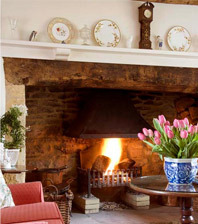 Dating from the 15th Century, Wren House combines original charm with modern, homely comfort and WiFi throughout. Cotswold stone floors with glowing rugs stretch through the ground floor, the colours are fresh, and maximum use is made of the natural light. 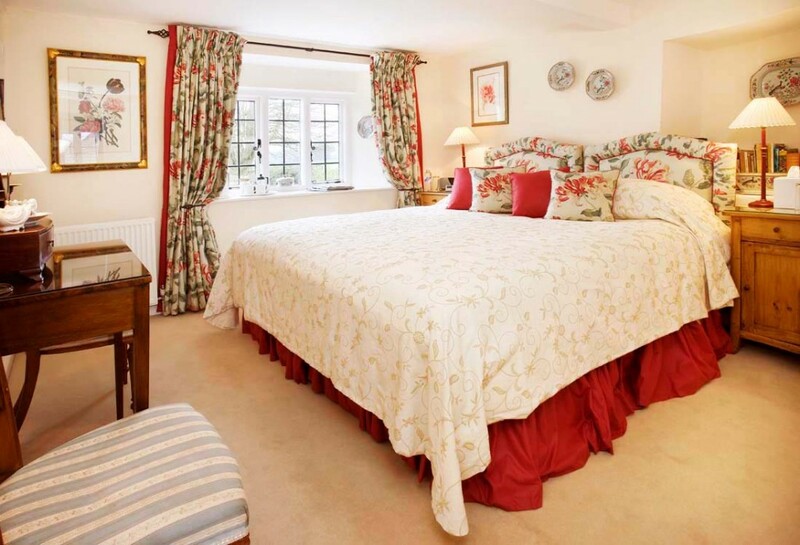 The bedrooms are elegantly decorated in classic fabrics with large (U.S. kingsize 6′ x 6’6″) and, as everyone always says, very comfortable beds. 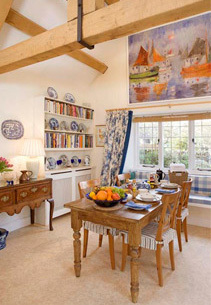 All three rooms have a sunny, southern aspect overlooking an imaginatively planted garden and to the fields and trees on the skyline beyond. The rooms are equipped with hair dryer, electric blankets, drinking water, a (non-ticking!) alarm clock and a radio. The bathrooms are fresh and bright. 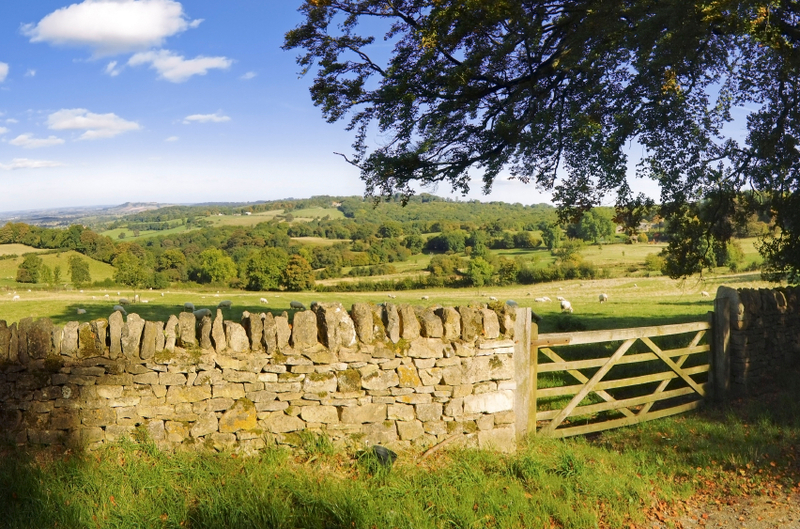 This part of the Cotswolds is richly served by excellent gastro-pubs, and Wren House is just a couple of miles from the delightful Daylesford Organic Farmshop, restaurant and spa. 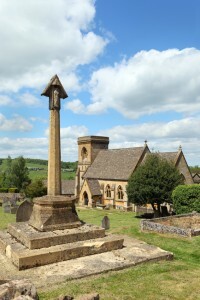 There are lovely walks and views, the glorious gardens of Hidcote, Kiftsgate, Highgrove, Sezincote and Batsford Arboretum amongst others, and the beautiful towns and villages of Chipping Campden, Broadway, Snowshill, Upper and Lower Slaughter and Bourton-on-the-Water. 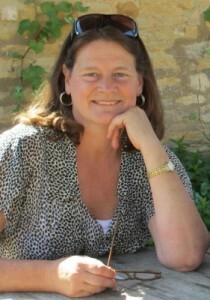 Kiloran McGrigor, your hostess, has a wide knowledge of the area and is happy to help plan your itinerary. Cheltenham, Oxford, Cirencester and Shakespeare’s Stratford-upon-Avon are all within an easy driving distance of around 30 minutes. Bath is only a one and a half hour drive via Cirencester and Tetbury – the home of wonderful antique shops and the Highgrove Shop. Wren House is perfectly placed for Cheltenham Races about 35 minutes drive. 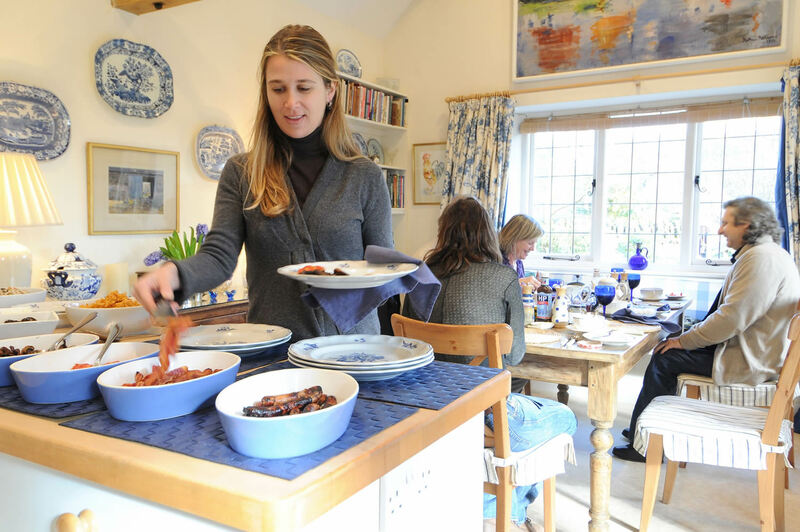 Breakfast is served in the large kitchen or al fresco in one of the sitting areas in the garden in the summer if the weather permits. It is relaxed and informal. 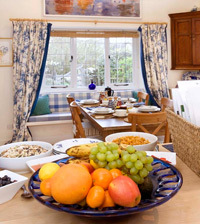 A cereal and fruit buffet is always provided and a full ‘English’ cooked breakfast is also available to those who would like it. All guests sit at the same table leading to lively and fun conversations sharing their travel and life experiences. Wren House is slap bang in the middle of England! It is a one and a half hour drive from Heathrow or Bristol airports, one hour from Birmingham airport and two and a half from Gatwick airport. By car, Wren House is two hours from Central London or one hour by train from London to Oxford where you can hire a car for the last 40 minutes of the journey which some find easier (see car hire details under Prices and Reservations). A car is essential for exploring the area, but bicycles can be hired for the fitter guest! 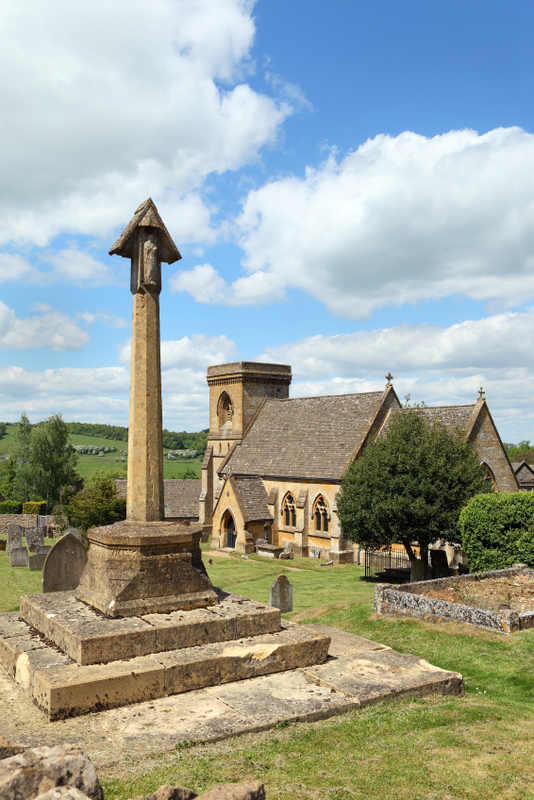 Its central location makes it ideal as a stop for heading off in any direction in the country with the motorway arteries of the M5, M4 and M40 only half an hour away, yet it still nestles deep in glorious Cotswold countryside in a small, pretty hamlet. 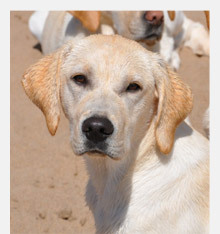 Kiloran McGrigor lives at Wren House with Ailsa, her charismatic and guest-loving Labrador – her co-host. They offer a warm welcome to their friendly and relaxed home.